Eddy Kay (Biehn) is a likable, mild-mannered watch repairman in the L.A. area. After instinctively rescuing some people from a house fire, memories and flashbacks are triggered in his mind, and he even randomly speaks Hungarian and knows martial arts techniques. Eddy thinks he is going crazy, but with the help of Dr. Anna Nolmar (Kensit), he goes on a search for the truth about his identity. While this is happening, boatloads of badguys are after them, including the sinister Mr. Brown (Blanks), and Ms. Blue (Scoggins). It all comes to a head in Oracle, AZ at a place called the Lang Institute. We won’t give away anything plotwise, but here’s a one-word hint: “SuperSoldiers”. Michael Biehn brings his usual excellent performance and presence to this film, which is more intelligent than other fare of this kind. For example, the name Eddy Kay is most likely a subtle reference to Kafka and The Trial, and its protagonist Josef K, and the travails of Eddy Kay are certainly “Kafkaesque” as they say. If this seems pretentious, blame the movie, not me. But back in reality, we have Billy Blanks as Mr. Brown (remember how all the Power Rangers’ uniforms were color-coded by race/gender? I guess marry that to Reservoir Dogs (1992), which Timebomb predated by one year), who wears a spiffy three-piece suit and black gloves. Blanks and Biehn fight twice in the movie. Timebomb was certainly the Unknown (2011) of its day, one man’s search for his identity as everyone around him tries to kill him and there’s no one to trust. Add in some Altered States (1980) and a dash of They Live (1988), throw in a bunch of B-movie names and there you have it. If this sounds too much like a Sci-Fi slog, fear not. While there are some Science-Fiction-y strands to the plot, they’re usually worthy and never sink into slog territory. There’s plenty of action as well. 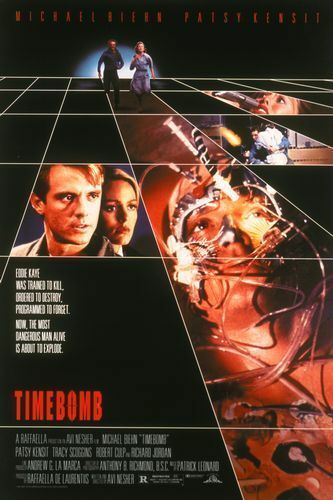 Thanks to some above-average elements, such as Michael Biehn and some interesting ideas, Timebomb makes for a quality night of VHS fun. Yeah, I never realized how similar Unknown's plot was to this film, they're both pretty good films. BTW, did you know there's a sequel to Taken coming out later this year? Nice review! Saw this one when it debuted on video and from what I remember, it was a pretty creative little flick. Venom: It is going to be tough to beat the 1st Taken...but it should be a fun movie. Films From The Far Reaches: Thanks! 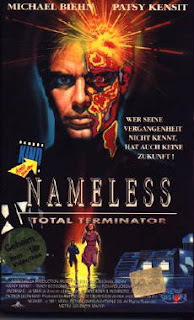 It is a solid Biehn flick. This looks awesome! Love me some Biehn...and the rest of that cast. Biehn is solid in this role. You will definitely enjoy it! That's a pretty impressive cast. I remember this one vaguely when it first hit VHS. I'll definitely have to check this one out again soon. Great review! It seems like a lot of people remember this one from the good ole' days of the video store. Love this movie (I think THE LONG KISS GOODNIGHT ripped it off, also) Love that scene involving Biehn's elbow, the pillow-case and the bad-guys face....ouch! They are a lot of similarities to both movies. Timebomb was first! Totally agree about that elbow bit. Ouch! Very entertaining though. Was just rewatching it on glorious VHS. Nice write up! Favorite Michael Biehn performance? Thanks! That is cool you still own the VHS. Good question about Biehn...We would say, Timebomb or American Dragons.